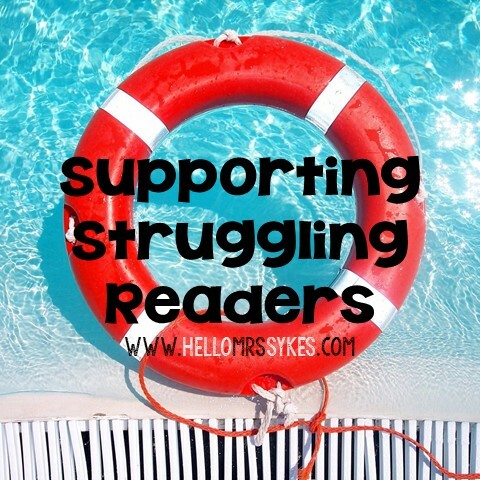 I'm at the beach this week, but I thought I'd bring you a quick round up (in no particular order) of some Amazing Resources for Reading I found online. Best part of all? They are all free!! The Teacher's College Reading and Writing Project has their Reading Assessments online! You can download and print assessments to determine reading level (GR levels A-Z), Letter/Sound identification, and Concepts About Print. I'll use this for those kiddos who hang out on a level for so long that they can read the book from our AlphaKids kit, even though they are not proficient at that level. They also have writing assessments available. My second graders love Magic Tree House books, and here are teaching guides for each book/fact tracker, as well as printables. All for free. Love it! Intervention Central - A must for every teacher! Tons of resources to help with RTI. I highly recommend that you download/read the Reading Intervention Manual. It has 4 interventions for fluency and 10 for reading comprehension. Florida Center for Reading Research (FCRR) is absolutely fabulous, particularly for center activities. I blogged about it here. My very first post (almost 1 year ago!!) showcased Printables from Fountas and Pinnell. Here's the link to read more. My wheels are spinning, trying to think of how to celebrate my bloggiversary... Any ideas? If you are interested in joining me for a giveaway, just give me a holler! hellomrssykes(at)gmail(dot)com.